Dragons Ladies 1s made the trip down the M11 to face already-relegated London side, Old Loughtonians in a desperate bid to maintain their status in the East Prem. With Captain Sarah Jenkins still side-lined by injury, the game saw defensive duo Lou Murray and Holly Reding taking command in the centre of defence, and managing the young Old Loughts side effectively. The opening 10 minutes of play were relatively evenly matched, with neither side breaking through the other’s defences. The midfield trio of Marie James, Issy Wolfe, and player of the match Liv Thomas, were working well together, and following a well-timed tackle in defence, and some great movement of the ball through Thomas, the ball was threaded behind the Old Lought’s defence. A nicely placed pass from Stacey Lee in front of goal put Hayley Toleman in a great position to slot home and put the visitors 1-0 up. The Dragons dominated the next patch of play, creating a number of chances in and around the attacking D, and eventually winning a short corner. Tabba Tabrett cooly put her drag flick in the back of the net, making the score 2-0. Despite going 2 goals up in first half, a rough patch in play and a 5 minute lapse in concentration saw the hosts draw the score level to 2-2 going into half time. The team were called upon to step up the intensity in the second half, and the majority of this half saw Dragons dominate the play. However, with all 11 of the Old Lought’s team camped out in their 23 the Dragons struggled to break through. Another lapse in concentration from the visitors in the last 5 minutes saw a long ball played right through the middle of the pitch from the Old Loughts defence. Their two forwards working effectively together split the Dragons defence and allowed them to slot the ball in the net. While the Dragons won a short corner as the whistle went for half time they were unable to convert, and the girls left the pitch disappointed by a 3-2 loss and almost certain relegation. Despite the low temperatures and biting wind, the sun shone and the games at the Den survived early pitch inspections. With the Ladies 2’s welcoming league leaders IES, the team knew they were in for a tough afternoon. The home team were pleased to welcome Katy Hands into the team following long term injury, and Maddy Reynolds also returning from illness and injury. Dragons started strongly attacking the IES goal early on and earning a couple of short corners in the first 5 mins, then 2nd of which saw a neat one-two between Jess Bennett and Gail Thomas, with Thomas firing the ball goalwards, with Hannah Hardy on the goalline to make 100% sure – one for the dubious goals panel, but a deserved early lead. Unfortunately within minutes, Dragons were then reduced to a bare 11 players, following a nasty injury to influential defender Ismay Whitaker, who was forced to depart for A&E with what turned out to be a fractured thumb – get well soon Ismay! Undoubtedly one of the worst seasons for injuries for the team. During the reshuffle of the pack, Dragons lost a bit of concentration, allowing the visitors back into the game and then to take the lead, with Dragons just not being able to clear the D. The score at halftime 2-1 to IES, but Dragons knowing they were very much in the game. With no subs available, the home team needed to dig deep – especially as Katy Hands return from injury was proving to be a little premature, however she bravely battled on with her dodgy ankle. The injury to Katy was a shame as she and Maddy Reynolds were starting to combine well upfront in their newly formed partnership. It was through these two that the equaliser came mid-way through the half, a loose ball was picked up by Hardy and fired into the D, Katy and Maddy combined well to get in behind the IES defence, with Maddy forcing the ball home. Both teams had their opportunities, but the defences held firm. Gail Thomas, Jess Bennett and Shelly Seaman were combining well in the middle of the pitch and breaking down IES attacks. There were a number of strong performances in Dragons shirts, with players playing out of position – Harriett Green asked to slot back into left defender broke down a lot of play in the 2nd half, combining well on the left with Dragons Player of the Match Hannah Hardy, who had slotted in at Left Midfield. All in all, given the fact that Dragons were down to a bare 11, (not all of whom were fully fit), for 60 minutes of the game, it was a fine team performance against top of the league. This week Dragons ladies’ 3rd team welcomed Magpies’ 4th team to the Den on a bright but fresh February morning. The first goal was scored by Ally Windsor Waite with a strike from the top right-hand side of the D in the left-hand corner of the goal. The second goal was calmly completed by Jess Haw who was perfectly positioned in front of the keeper for the incoming cross from Debs Smith. Harleston Magpies then got a goal back from a second shot at goal which was initially saved by Dragons Keeper Kat Speirs from a short corner. The first half finished with Dragons leading 2 – 1. The second half continued like the first half with opportunities being created by both teams, however Dragons managed to increase the lead with a second goal from Jess Haw and a converted penalty from Ally Windsor Waite. Magpies continued to stay in the game by scoring a second goal from open play. However, Jess Haw completed a great game on the forward line to gain her second hattrick of the season and score Dragons 5th goal of the game. The defensive combination of Kat Speirs, Sophie Barrow, Angela Murgatroyd and Esme Potter made a significant contribution to the game, with Sophie Barrow winning the Player of the Match vote for her great defensive and attacking play at right back. It was a cold and early start for the Ladies 5’s with a 9:30am push back. An early pitch inspection revealed that despite the forecast the pitch was only partially frozen and improving by the minute in the beautiful winter sun. As the opposition were UEA they were happy to travel the short trip down the road as both teams were keen to play. This was a key game for the 5’s. After a thorough warm up Dragons begun with the sun behind them hoping to take advantage of this and gain an early lead. Each team pressed hard eager to score, our defenders Steph Samson, Grace Brown and Georgia Butterworth worked as a cohesive unit clearing the ball from the D. UEA took a few early shots on goal with Amy Forse demonstrating, as ever, that she is a very nimble goal keeper and a force to be reckoned with. After a consistent stretch of pressure on our goal UEA managed to score putting them 1-0 up at half time. The half time talk centred around intensity of play which we have been focussing on in training over recent weeks. With this in mind we began the second half utilising speed and skills. Hannah Edwards (MOM) worked hard to keep the ball out of our half and push play towards Mel Widdows, Sophia Haehnelt and Lizzy McDonnell, using width and connecting play to try and maintain possession and move forward. UEA hungry for another goal pushed back out of their half and made it 2:0. With everything still to play for Dragons increased the intensity gaining a short corner and eventually after a few rebounds the ball made it over the line off the stick of Jade Blanchflower. This demonstrates that with high intensity play and good linking and communication between our forwards and midfielders we can score goals and this is something we need to remember moving forward. Ginny Simkin moving to top of the diamond late in the game tried to create opportunities for Sue Cross, Sue Brumby, Lilly Sore and Niamh Somers to get us another goal. As a team we pressed hard until the end of the game looking for that equalising goal but sadly we were unable to convert with the game finishing 2:1 to UEA. Taking this on board her team did exactly that! 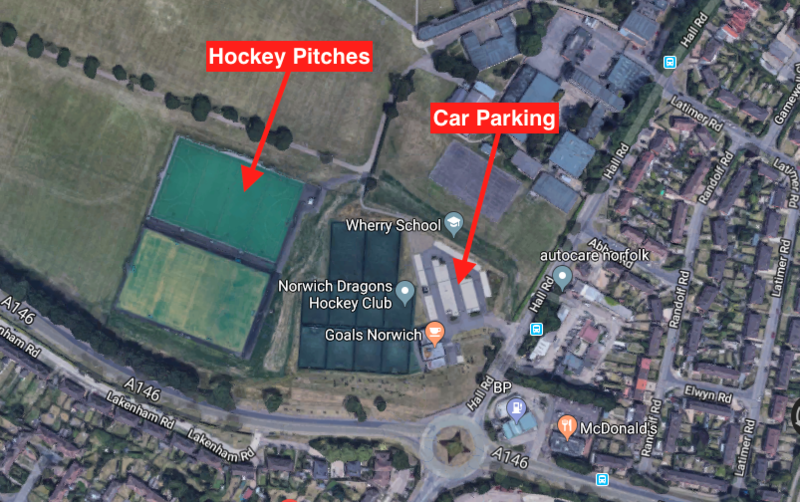 Dragons dominated the possession from the first whistle – after last weeks grass game they were able to play the pretty supportive hockey they are used to. The forward line of Harriet Rant, Amy Forse, Gemma Ballard and Jane Wells working as a unit to put pressure on the Magpies defence. The forward line well supported by the midfield. Anita Mancini play making at top of the diamond with Maisie Dearmer, Gill Walker, Coco Brown and Emma Gillard offering lots of support in the attack. Defensively Kate Atkins, Jen Buskell & Stella Windsor-Waite dispatched any Magpies challenge with assertiveness, being able to push up and support the attack too. With 6 goals being scored there was lots to celebrate from ladies 6s performance. Gemma Ballard and Harriet Rant getting two a piece. Anita Mancini making it onto the scoresheet and Gill Walker scoring too (expert post play following her short corner injection). Great teamwork this week ladies and lots of great performances. The 4 way split (Harriet, Stella, Coco & Gill) for POM just goes to show what a great team performance it was! The 7s showed good form in every department as they completed a comfortable double over a young Pelis team who themselves have gained in confidence and skill over the season. Dragons’ win was very much related to the fact that they had most of the strongest members of their squad available to them. Before the match, they committed to come out with all guns blazing and putting the plan into action helped dispel any lingering memories of the unfortunate defeat last time out. Dragons pressed from the outset, and moving Adelice Kraemer to centre forward brought rewards. Pelis never really came to terms to her neat touches in front of the keeper, and with a liberal supply of excellent crosses and passes she rattled off a hat trick in the first half and got one more in the second. Addi’s move to high forward left Mia McGhee free to rove the wings and she used her speed to good effect and got on the score sheet. The scoring was completed by captain Claire Fairhurst whose goal was the cheekiest of them all – a very carefully placed low lift with all the pace taken off the ball to beat the keeper. The Pelis keeper, Molly Gromett, once again proved she is an excellent shot stopper and with some brave defending around her did really well to keep the score down. Claire Stuart had a memorable shot saved; Amelia Keitley-Webb peppered the goal from every angle and distance; Stevie Spencer was perhaps under-used for shooting from the top of the circle. Dragons worked hard to keep a high press on and to keep hold of the ball. Pelis had to work the ball up from the back, and the 7s know where they have a ‘little hole’ which will remain their guilty secret until they can put it right in training! The defence (this time with Lily Crew on the left, Bridget Le Good in the centre and Madeleine Gibbs on the right) were pretty solid, and they have the confidence not to get in the way of keeper Emma Northie North when she is in position to block and clear. So Northie got another nicey Northie cleanie sheetie. Hooray! A great confidence booster for her and the team. With several players getting POM votes, the contribution of Mads Gibbs was rewarded – she did not miss a single tackle all afternoon. Louise Brooksy Brooks was again outstanding at the bottom of the diamond, making a solid contribution in defence but even more importantly linking her distribution beautifully to the mids. How good it was to have regular 7s players back in the midfield working hard and playing creatively. Amelia and Stevie showed great stick skills and some lovely passes. Sophie James had some nice touches, particularly on the right. Becky Gallagher continues to improve every week and plays solidly when in defence – and gets some excellent penetration when she moves into midfield. The flexibility of players like Becky, the two Claires, and Brooksy’s ability to turn defence into attack is adding another dimension to the 7s play. They have added versatility to their team lineup which enables them to cope with different game challenges. Solid defence, creative midfield and forwards developing a much-needed cutting edge meant this was a most enjoyable game for the 7s. They know they have a ‘couple of little things’ to work on, but they are well up for the top of the table clash with Loddon next week. Unfortunately, the weather may have a say on the play, but the Super Sevens are definitely ready. What a game! The score line really doesn’t reflect this game as the 8’s continued to demonstrate that they are a force to be reckoned with and were even complemented by the infamous magpie Shirley on how good the game was and how she felt that the 8’s had really improved and given them a run for their money. With no less than 4 new players to the 8’s this week, the optimistic team were super keen to beat the Magpies and improve upon their 1 nil loss from the last time they played them. A late start of 4.35PM, the sun had already just about gone in and it one of the coldest matches of the season. From the off set the 8’s battled hard in the wintry conditions on the opponents’ pitch. Anita Mancini had stepped up to play in goal got 8’s and what a performance she had! With a close second for POM, she made some cracking saves and did her self and the team proud. Great communication from the back provided fab and well-needed support to the defence line. Some excellent clearances and dives stopping many of the fast and hard balls form the well-versed magpies who showed no mercy from the word go. Jo Baker as centre back once again proved her worth with using many of her amazing slap hits out to the defenders and mids on the wing. Working well with Anita and the other defenders, Jo helped to maintain the strong shape of the 8’s defence whilst keeping many shots at bay. Johanne Steward as right back, made some lovely passes with her free hits and got into some excellent spaces, she called well for the ball and you could see that she had definitely been outing into practice what she had learned in training. Anna Chapman as left back also took some great hits and continued to push up to support the mids, and drop back when needed, her hockey brain is definitely developing and you can see her increase in confidence in every game. Tracy Stuart-Sheppard as BOD and also on the wing was her usual strong self. Quick to reset and determined as ever, Tracy provided integral strength in the middle of the pith and distributed the ball well to the other waiting 8’s. Newcomer Emma Merryweather started off on the wing but the sideline support soon realised that with her speed, she was versatile enough to swap positions and also play TOD. This girl has speed! New to Dragons but you could tell from her performance that she already has a honed hockey brain, made great tackles, got into some good positions and distributed the ball well to the other mids and down to the forwards. Another newcomer Fern Daly fought hard against the tough magpies, called for the ball well and made some great receipts, managed to end the ball up the other on many an occasion and was another new and great asset the awesome 8’s. Nic Harrison was again her strong and intelligent playing self. Nic made some lovely tackles and passed the ball down the line with some brilliantly accurate passes that gave the 8’s several opportunities at getting the ball in the D. Nic also made some note-worthy injections to the receiver in short corners. Another newcomer Mehnaz Shammy, she may be quiet but she is not to be messed with. Mehnaz fearlessly tackled the opposition and intercepted the ball several times with such ease and accuracy, another new asset to the team. Katy as TOD and a new position as BOD, turns she can defend as well as attack! Again after the sideline support switched some players around, Katy’s speed helped to ensure that the Magpies did not concede more than one extra goal in the second half by vehemently attacking the Magpies fast forwards. Sadie Jacobs left and right forward, continues to earn her place as a high forward, positioning herself well and pouncing on the ball at the right moment, Sadie made some lovely runs into the D and some great shots at goal. However, the Magpies titanium defence line was just too hard to crack. Another newcomer Florrie Beck as left and right forward, tackled well, intercepted many balls and made some grand passes to her fellow forwards to make some great shots on target at the goal. Another one to watch who fitted in really well to her new team. Lois Metcalfe as centre forward worked tirelessly to receive the ball from the mids and send it into the D. Lois tackled well and demonstrated some excellent ball control whilst continuing to communicate brilliantly to the forwards and support them when she could. All in all, some excellent play and the 8’s should be proud. They really are coming together well despite often having different players each week, they have put into practice what they have learned at training and most of all they love playing!!! With 4 games to go, they are itching for that second win and they are oh so close to it happening – onwards and upwards for the awesome 8’s. This game was Dragon’s second 6 pointer in a row. After coming from behind to beat City of Peterborough last week, confidence was high in the Dragon’s camp. However, the first half was pretty edgy with both sides feeling the nerves of such an important game. UEA were probably the better team in the first half, but there were few clear cut chances for either side. Tom McLean managed to make a couple of good saves, and some outstanding defending from man of the match, Ali Smyth, kept the scores level at half time. Dragons were determined to improve their performance in the second half and put the pressure on UEA, and they did exactly this. A lovely attacking move ended abruptly when Rohan Kaushal was fouled whilst having a clear goal scoring opportunity. 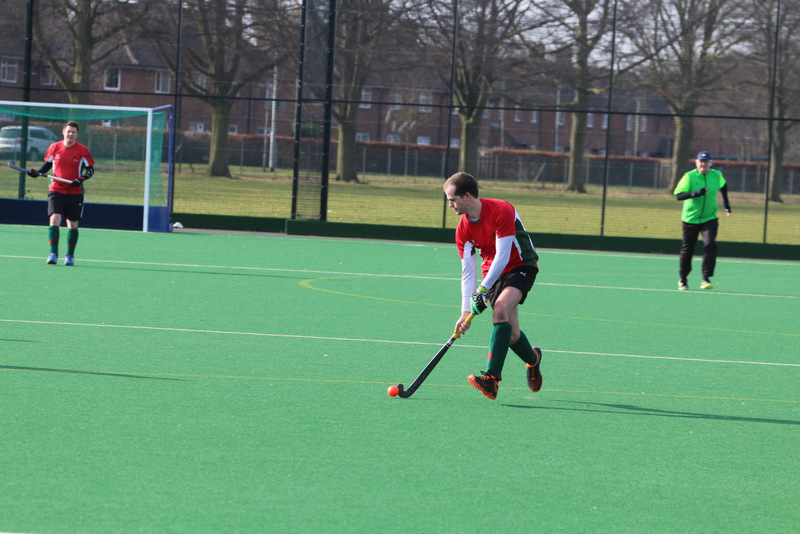 This resulted in a penalty stroke for Dragons, which was calmly slotted in by Rupert Snelling. 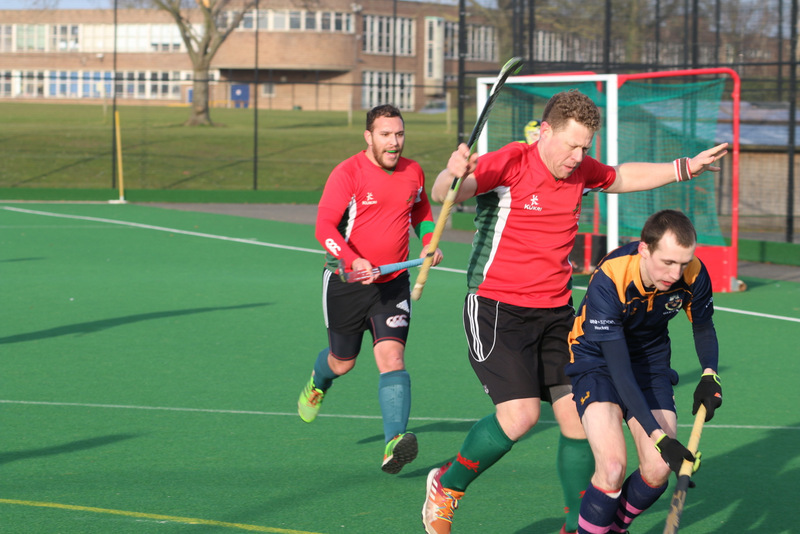 UEA now had to bring the game to Dragons, which left them vulnerable on the counter attack. Matt Knights took advantage of this with a powerful one-handed run down the right wing, leaving many UEA players in his dust. A thumping cross to Alex Browne in the D was controlled perfectly, allowing Alex to turn his defender and slam the ball home. With only 10 minutes left on the clock, UEA won a short corner which they managed to convert after a powerful drag-flick into the bottom left hand corner. The pressure was now really on Dragons, but some great team defending and another super save from Tom allowed them to take all 3 points. Final score 2-1 to Dragons. Dragons men’s 3’s took on Pelicans 2’s on a cold but sunny day at the den. Dragons needed some points from this game after losing to Sudbury the week before. However it was Pelicans that scored first with a decent strike. Dragons worked hard to create chances and had most of the attacking play in the second half, but even with several short corners could not find the goals. The end result was 1-0 to Pelicans. Top of the table IES 3’s next week. morning in anticipation for that pitch inspection to see whether they can continue that lay in. No such luck for the Men’s 4s who head to Lowestoft (2nd in league) with the icy Siberian winds blowing from the east. With the normal scurrying around trying to locate goal keeper kit, our convoy embark to the Suffolk coast. Offering up our captain to officiate the game, its in the hands of birthday boy Andy Kemp (happy 60th) to captain a youthful team. The 1st half saw some outstanding teamwork with Dragons on the attack and most of the possession. An unfortunate breakaway and superb finishing from Lowestoft took them to 2-0 at half time. Goal keeping finesse by Joel kept Dragons in the game. With no glucose overload (lack of jelly babies) at half time and some inspirational tactic analysis we commenced part two awaiting the arrival of some icy showers. final score is definitely not a true reflection of the game. Fantastic effort from all . A disappointing performance against UEA 4 who were a beatable side on paper but we were very restricted in availability and I am grateful for the players who were coming back from long term injury and/or are not regular league players, who came along to give us 11 plus one substitute. Once again your captain and scribe played in goal due to lack of keeper availability and our lack of strength in depth showed in open play. We lacked options for keeping possession and allowed UEA too much space to play their own game. They were fortunate to have one or two good strikers of the ball who capitalized when they had the chances close up in the D.
Their goals were well taken and unfortunately, I am not as flexible as I used to be, so when the ball was heading to the corners of the goal, I was unable to keep them out. I did manage an ‘up and under’ (ask your dad who Eddie Waring was) in a goal mouth clearance which would have taken some poor players head off it had connected, but luckily it sailed off to the half way line and we had a penalty corner awarded against us instead…. The back four plus one of Mike Banham, Harry Brown, Ray Hansell, Richard Davis and John Butler battled away, along with Sam Nutt, Darryl Robinson, Bobby Stewart-Sheppard and Stephan Holland in midfield but unfortunately it wasn’t our day. 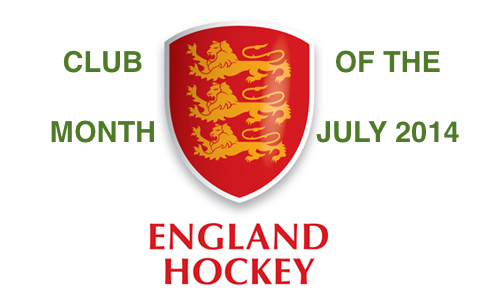 There were some bright points shining out of the gloom, with Sam Nutt continuing to impress with his growth as an adult hockey player this year, and new to hockey this season Stephen Holland has also made great strides in getting to grips with the finer points of the game. Especially considering he hadn’t even picked up a hockey stick at the beginning of this seasons campaign. Overall, the stand out player and the one receives a deserved Man of the Match was Stephen Holland, who showed the way in effort and application to win everything he could and not give up. On Saturday the Dragon A’s played the Dragon’s B’s at home at the Den on a particularly cold afternoon. The first half of the game was dominated by the stronger A team and by half time were ahead 6-0, with Mac Beaumont and Kit Scott each scoring goals. .
A tough first quarter for dragons with city scoring 2 goals but we still kept going. Second quarter was even worse but we were trying our hardest, with the ball going from end to end. Another 2 goals for city. Third quarter was so much better, but still no goals. Fourth quarter we played the best. We got into the D several times but just couldn’t get a goal. Well played girls, we pushed through. This entry was posted in Latest News on February 26, 2018 by Comms Manager.